company in a perfected way. Now with almost a decade of experience, I am honored to be an author in the Event Planning textbook used in colleges and to speak across the country telling my story, teaching the art of wedding planning, mentoring small businesses and helping those who need guidance and a cheerleader to take their dreams to next level. 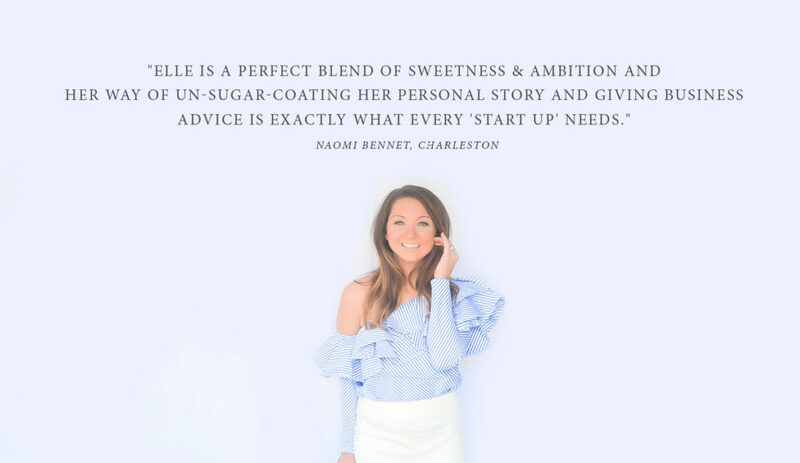 When I started, I truly wished there was someone like me I could ask tons of questions to, bounce ideas off of and someone to tell me flat out "that is great idea," or, "let's do this instead and here is why." Because there wasn't, I learned on my own and worked endless hours to gain the knowledge needed to start my company successfully. I believe in praising competition, lifting others up and sharing the knowdledge I now have with those just starting. Now am I able to follow my passion of helping dream followers like myself, like you. Calligraphy, art, floral and hands on workshops occur at the Pink Pineapple Studio throughout the year. The story of EED, the secrets to starting your business, what you think you are doing well and what you may need to tweak. One day, 6 hours. It is vigorous, bursting at the seams with information, you leave with templates for your business...and we drink champagne with lunch, so there is that. One on one offered. With a humbling response to speaking events, I offer one-on-one/small group coaching sessions where the sugar coating gets left at the door, and we talk about whatever subject you are interested in. Maybe you are a wedding planner who is trying to start your business or maybe you loved something I discussed at an event and want to dig deeper in that subject. Whatever the subject, let's dive in!